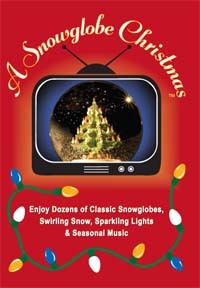 TRANSFORM YOUR TV INTO A JOYFUL MUSICAL SNOWGLOBE! � we even do the shaking for you!
" A Snowglobe Christmas" will enhance family get-togethers, holiday parties and quiet moments waiting for Santa. How the Snowglobe Was Invented.